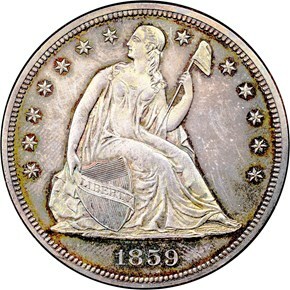 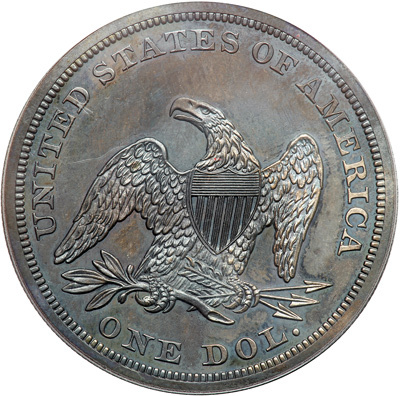 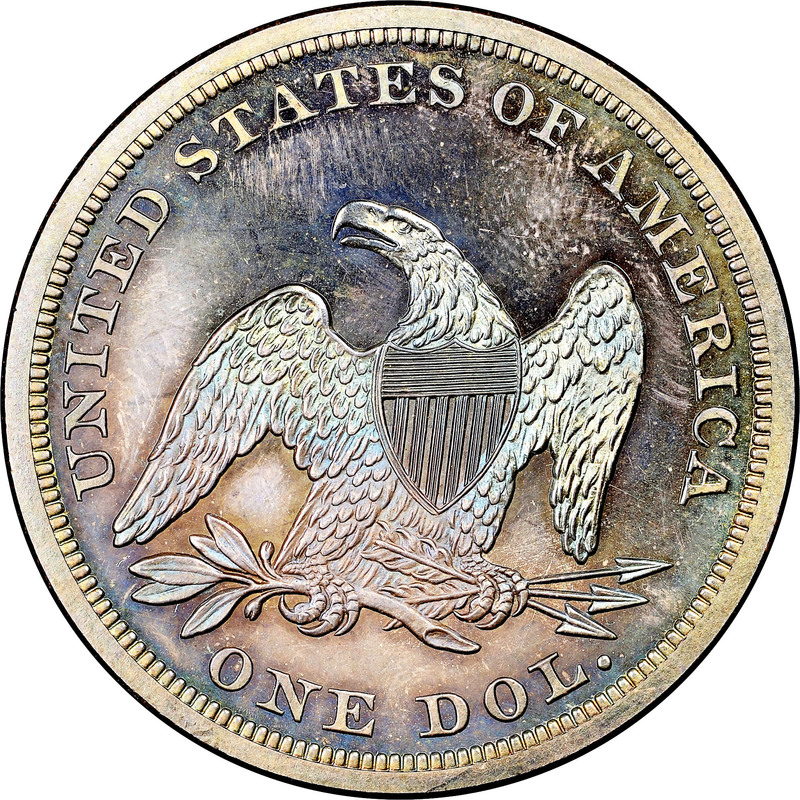 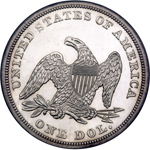 The second year in which the Mint made a concerted effort to market proofs to the collecting public, 1859 witnessed the production of a respectable total of 800 Seated Dollars. 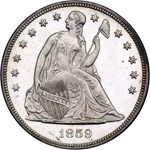 Based on the number of coins extant, it is unlikely that more than 450 examples were actually sold by year's end. 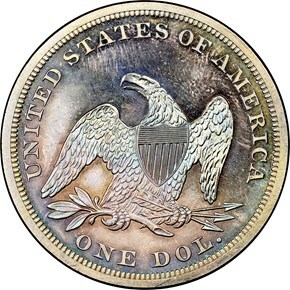 The balance of the mintage went to the melting pot. 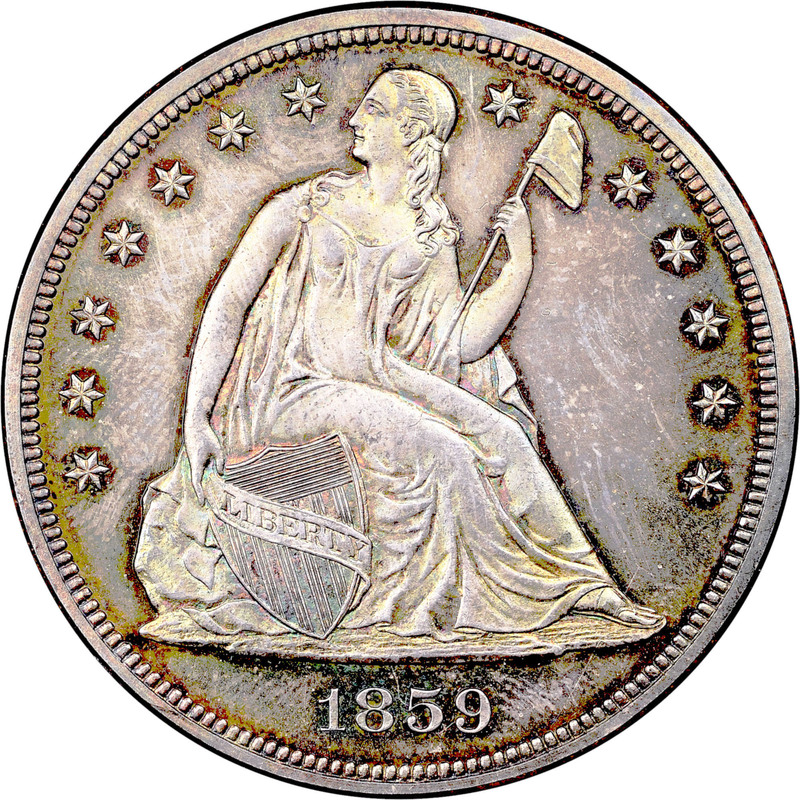 While there are enough lower grade survivors to satisfy less discerning collectors, the specialist who has one eye on aesthetic appeal and the other on technical quality will soon find that the proof 1859 was not a carefully preserved issue. 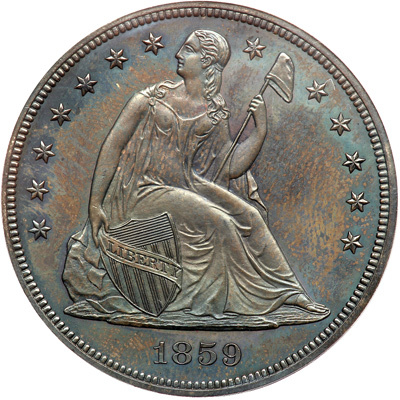 10/9/2008 — Coins certified by NGC across many series recently starred in the most valuable auction Heritage has held in two decades of Long Beach events.